With a long and turbulent history that involved many a scrap with our English neighbours, Scotland has more than its fair share of castles for the modern day tourist to marvel at. There are grand palaces, royal residencies, spooky cliff-top fortresses, and atmospheric ruins to be found throughout the country. Together they make up some of the leading travel attractions in Scotland (and in fact in the UK). They say that there have been as many as 3,000 castles in the country at one time. Even today, there are hundreds to choose to visit. So here I go trimming that list down to five…. A no-brainer for this list, Edinburgh Castle is one of the top places to visit in the UK. The place is oozing with history and was used extensively as a military stronghold for centuries as well as a royal residence. Edinburgh Castle saw an epic siege in 1571-73, where Mary Queen of Scots’ forces had to hold out against a brutal attack. Despite being vastly outnumbered, they stubbornly withheld a sustained assault in a near-impregnable stronghold. Bonnie Prince Charlie’s forces also had a go in 1745, to no avail. 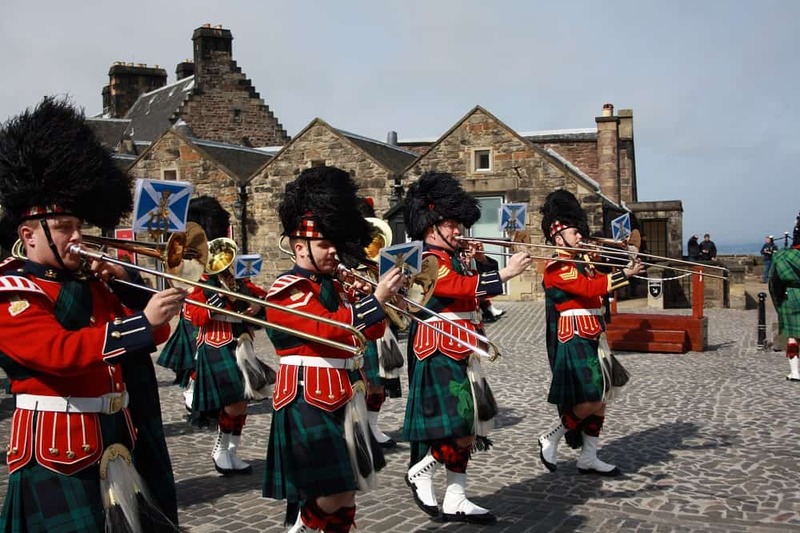 Today, the National War Museum, the Honours of Scotland (including the Stone of Destiny that has been used in royal coronations for centuries) and the daily 1 o’clock gun make the castle a great day out. You could easily spend a whole day here and it’s a great activity for families. Since its superb refurbishment completed in 2011, Stirling Castle now rivals Edinburgh as a 21st century tourist attraction. £12 million went into making the Royal Palace appear as it would have done back in the 16th Century. 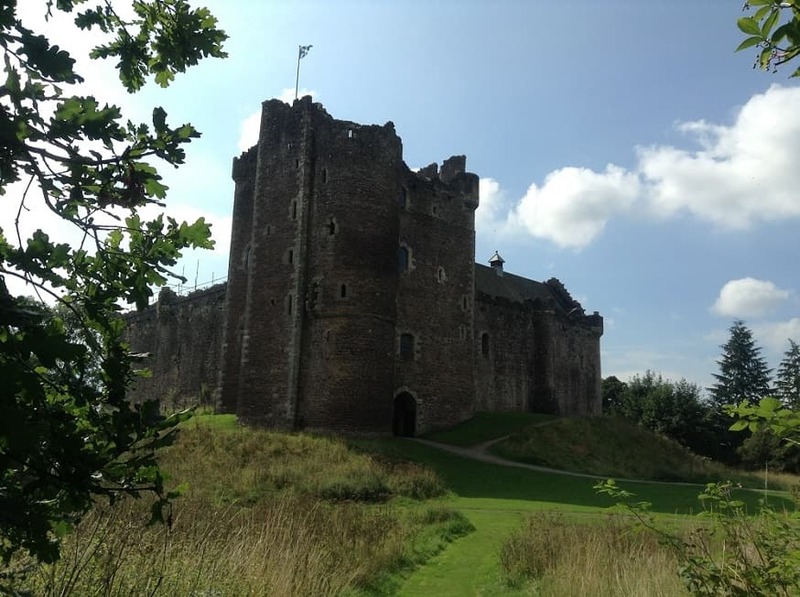 The castle offers a very high quality (and free) guided tour that will take you around the Great Hall, the huge castle kitchens, and the museum of the Argyll and Sutherland Highlanders. The castle gardens and views in all directions over Stirling are also spectacular. 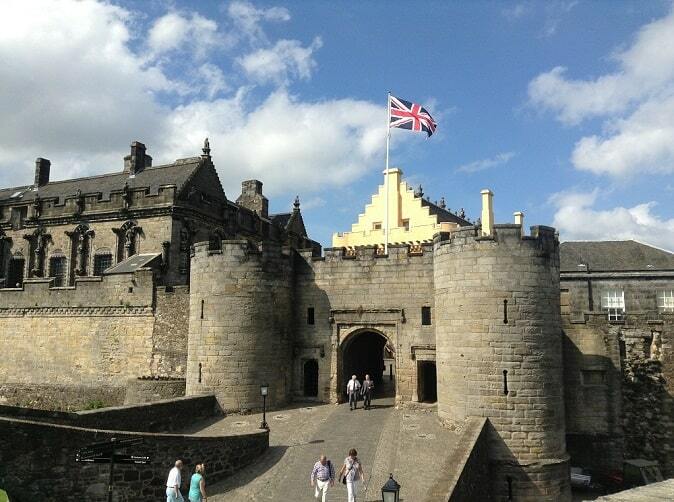 Stirling has always been of huge strategic importance in the military history of the country. Everyone wanted to hold Stirling Castle. It’s no coincidence that 3 of Scotland’s biggest battles were fought nearby at Falkirk, Bannockburn, and Stirling itself. The castle saw some military action in the 18th century Jacobite wars when it was bombarded by government ships who were after some Spanish troops inside, and it was not properly rebuilt until 1932. Doune gets the nod from me because it fits my definition of a “proper” castle. Not as big or grand as Edinburgh or Stirling, but with a strength and sense of impenetrability that not all castles have makes it a winner for me. I would not want to be the poor soul ordered to lay siege to this place! As well as meeting my questionable definition, it was also the castle used in “Monty Python and the Holy Grail.” The thought of John Cleese running around these old halls in tights and chainmail contrasts ludicrously with the harsh reality of life in a 14th century castle, but for many is just another chapter in its colourful history. In a nice touch, the audio guide for the castle is read by Terry Jones, one of the Python directors. It got really tough here between this and Caerlaverock Castle in the south of Scotland. Ultimately it was my experience of finding Castle Campbell that won it for me. I was walking the Ochil Hills not far from Perthshire and, although I knew the castle existed somewhere in the region, I was not looking for it nor did I expect to find it. As is often the way I had gotten carried away with my walk and really needed to start to head back to civilisation. Weary legged, breathless, probably lost, getting dark, alone, not seen anyone for miles, mild panic… you can imagine the picture. And suddenly there I was, staring at Castle Campbell. Small but picturesque, it was briefly visited by Mary Queen of Scots in the 16th century but in truth was never built for military purposes and was more of a central stronghold for the Campbell Clan. The grounds surrounding it in Dollar Glen are magnificent for walks, and for atmosphere it really is special. I’ll be getting lost in Scotland more often. Neil is owner of Locomotion Scotland, a travel planning service and blog for Scotland. Follow along with all of his Scottish travel stories on Twitter @locomotion2012, Facebook and Google+. Great post! I’m going to the Scottish Highlands in September for a week. I’m looking forward to exploring some castles while there. Terrific photos! All of Scotland is like one glorious movie set. One of most touching things at Edinburgh Castle for me was the little dog cemetery. The inscriptions on the little headstones really grab at the heart. 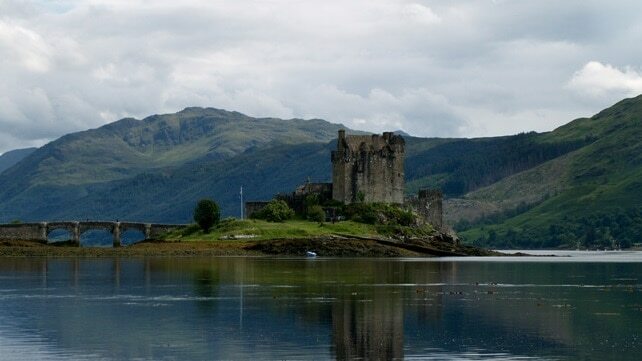 Eilean Donan is one that I would especially like to visit, given the photo shown in this post. I had never heard of it before … and now I’m really intrigued…! Great post! And I love the story that inspired you to add Castle Campbell to the list, its great when you stumble upon something unexpected, adds to much to the initial experience. Thanks very much guys. There is a massive choice and there are plenty of other great ones that missed my cut but this is a pretty good range. The Castle Campbell experience was special, made me feel very Rob Roy. Great choices! Another one of my favorites was Culzean Castle on the coast. It was pouring buckets the day I was there, but the scenery looked gorgeous!